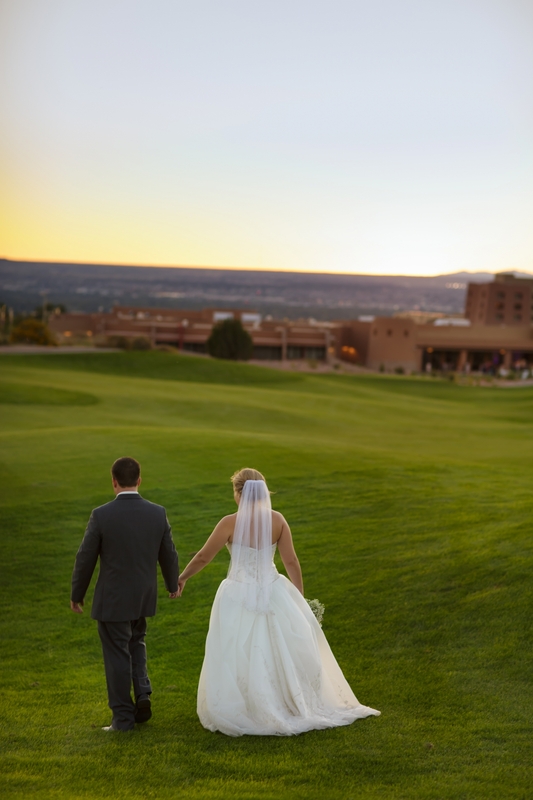 September is by far one of the most beautiful months of the year in New Mexico. 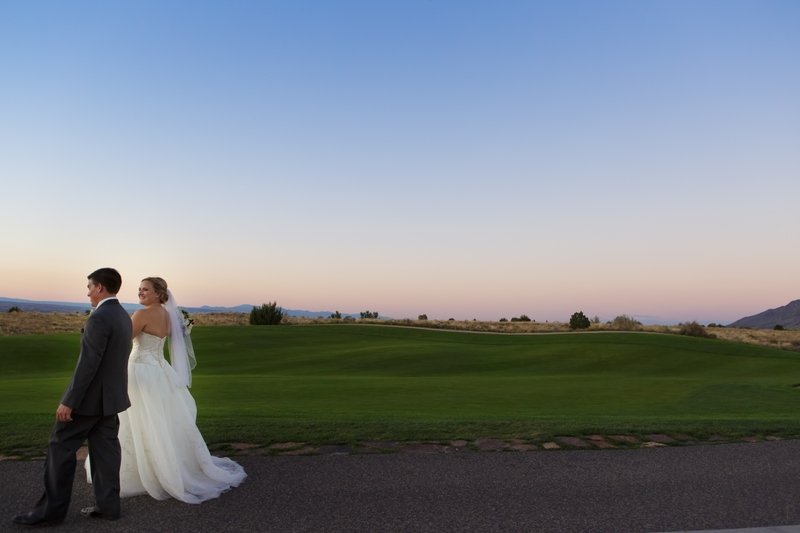 Summer may be ending, but you would never know it, as mornings are crisp, the days are warm with sunny, blue skies and evenings are cool with spectacular sunsets. 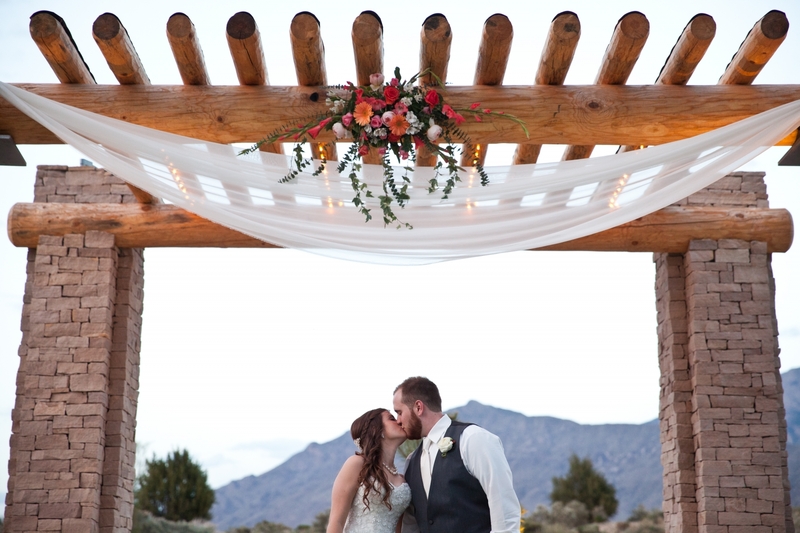 With September bringing the best things about summer and fall, Lauren and Ross knew it would be the perfect month to celebrate their wedding. 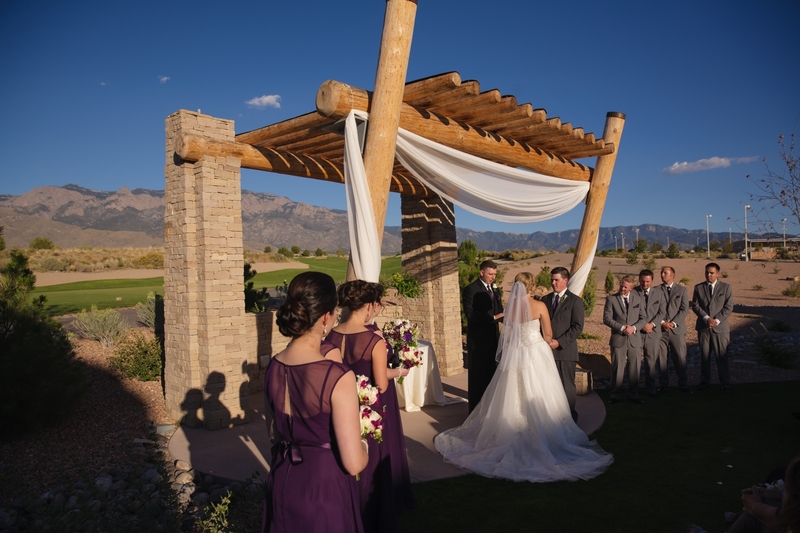 The Event Center at Sandia Golf Club was started with help from Ross, who helped construct the Event Center at Sandia Golf Club. 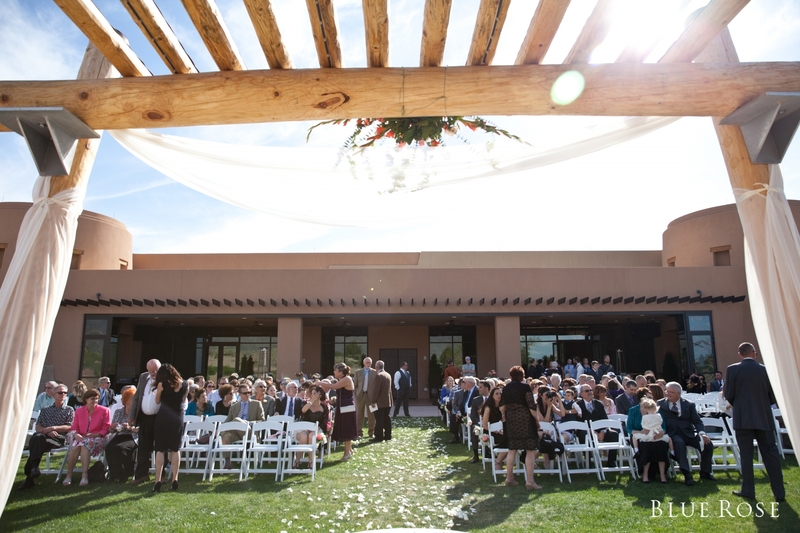 As part of the team, Ross was able to see the space firsthand, as well as the various features the Event Center has to offer - all before it was even completed! 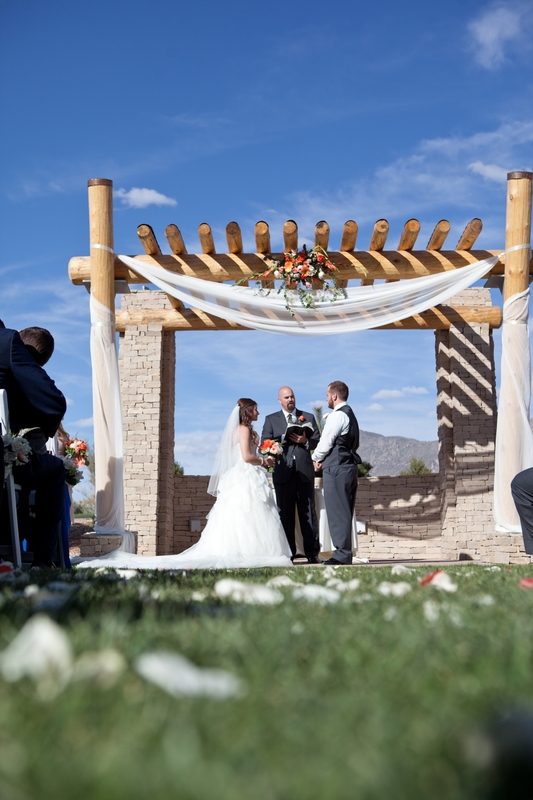 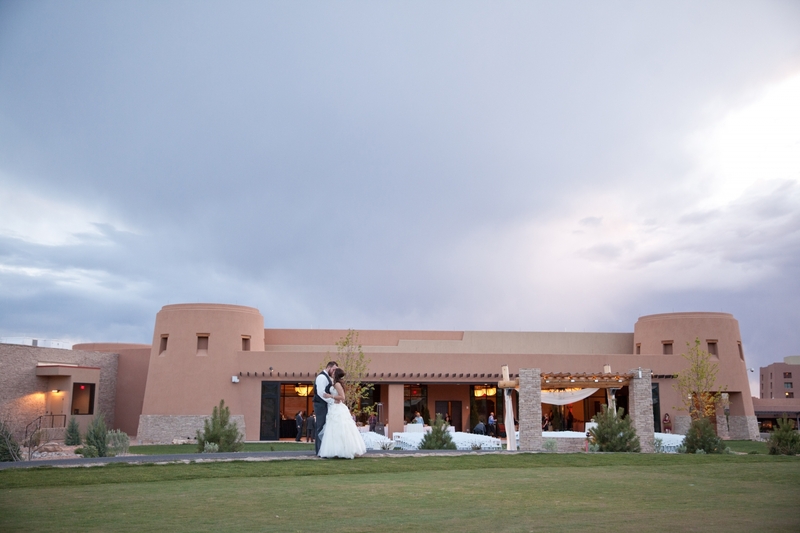 Ross knew that with the view of the Sandia Mountains and the combination of the ballroom, lanai patio and event lawn, that his fiancé Lauren would love it. 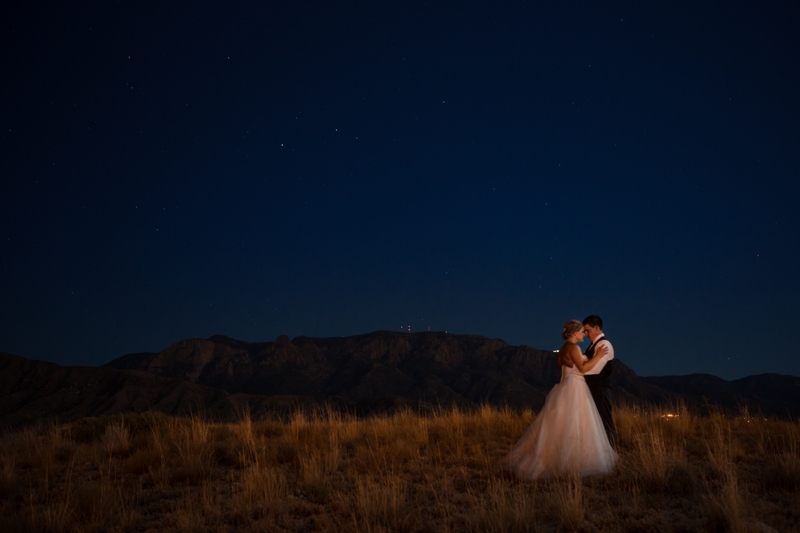 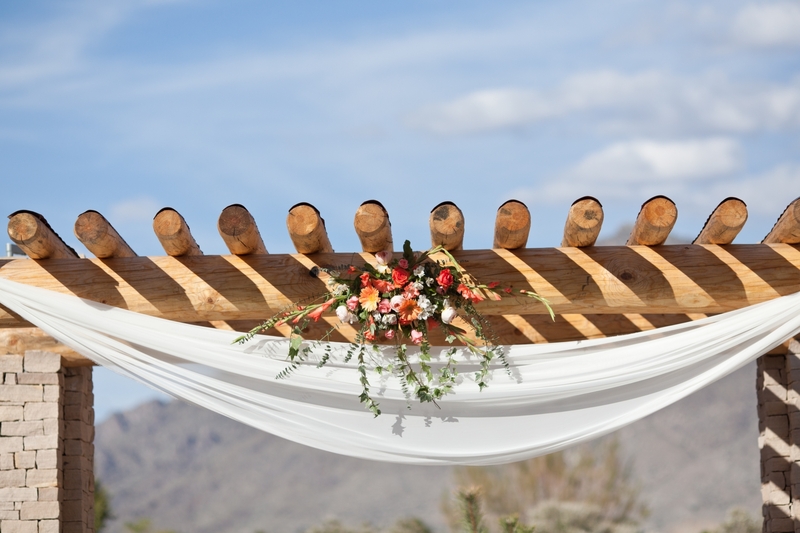 After seeing the space, they both felt that the views the space offered were easily the best in Albuquerque, and with all of the different features, this was where they would say, "I do." 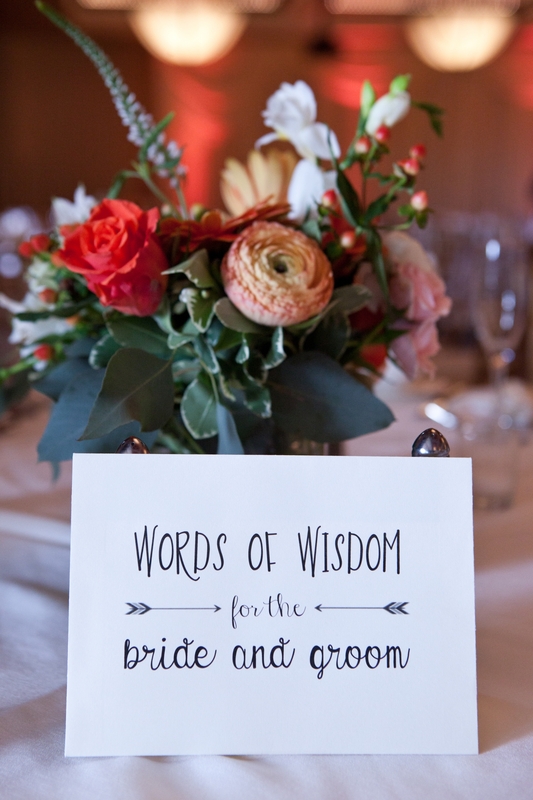 Lauren and Ross' wedding was full of romantic decor and unique touches that truly represented them as a couple. 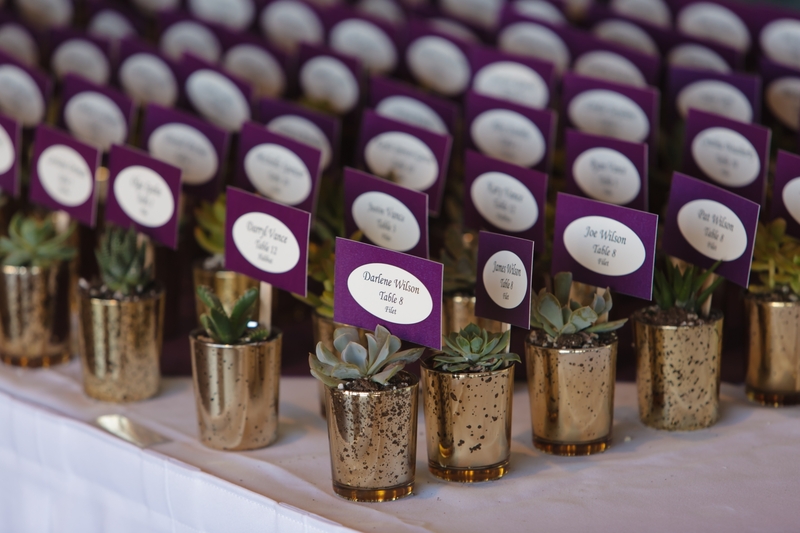 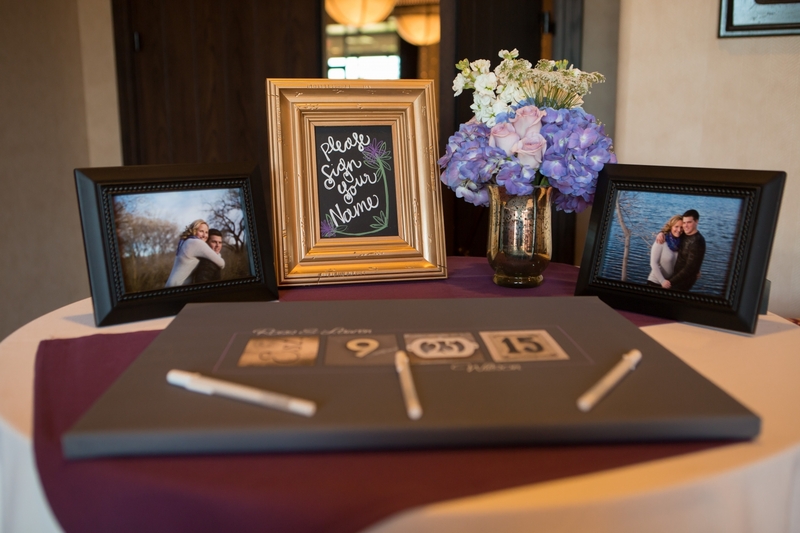 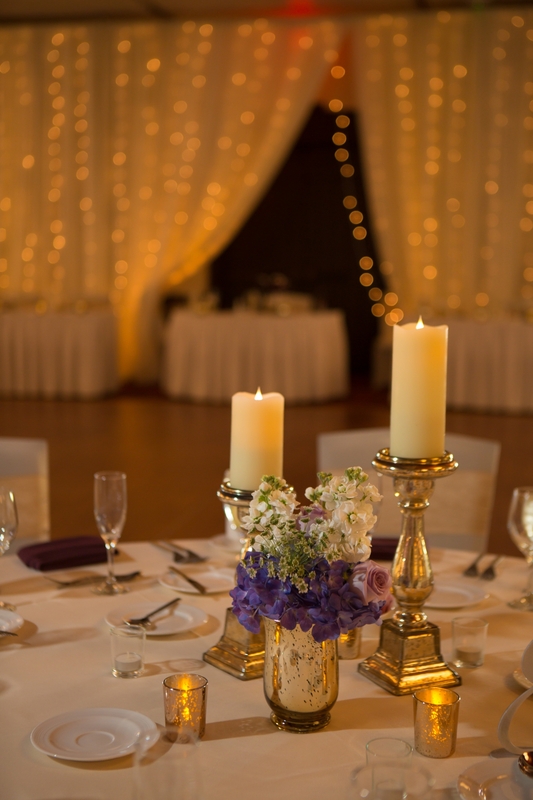 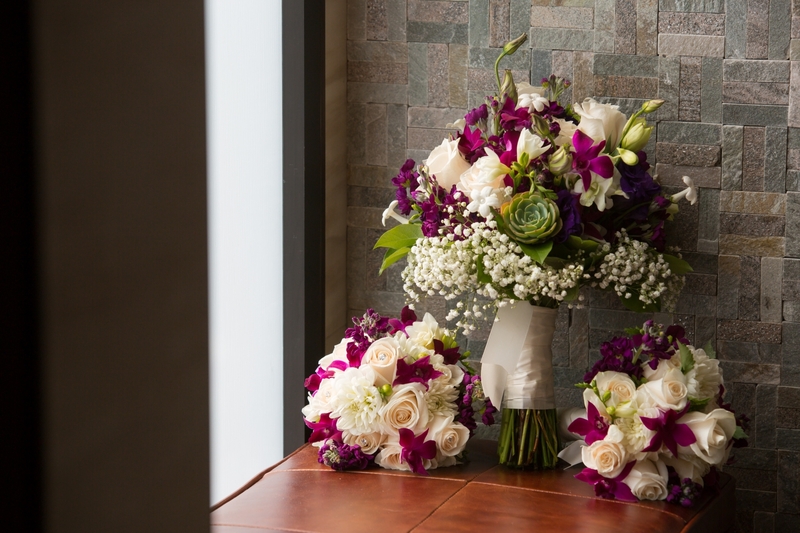 Throughout the Event Center, the couple incorporated shades of purple, Lauren's favorite color, and accents of gray and gold throughout. 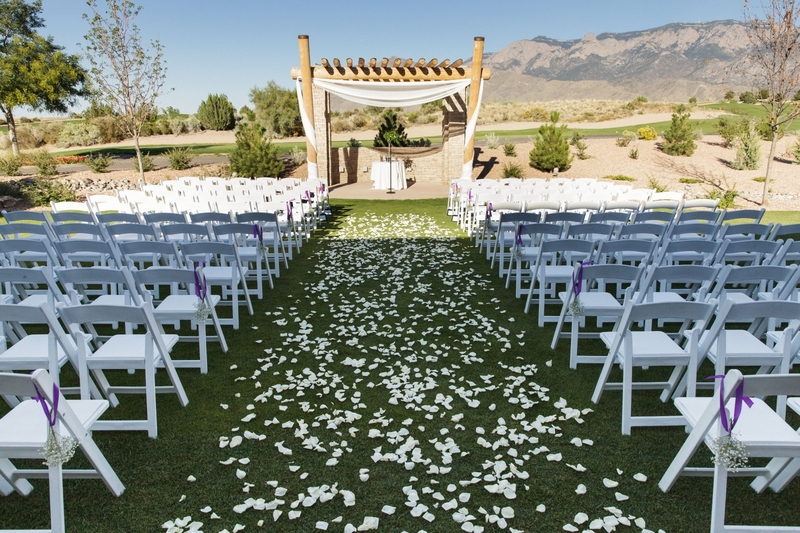 For the ceremony, they added a dramatic draping to the altar, along with thousands of flower petals that were spread along the aisle for Lauren's grand entrance. 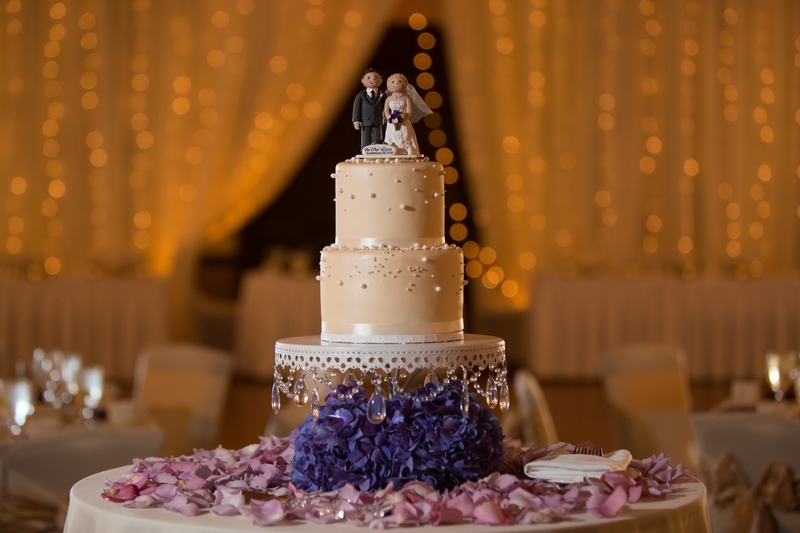 The reception boasted a lighted backdrop behind the couple's sweetheart table and bridal party, which stuck close to the couple on either side. 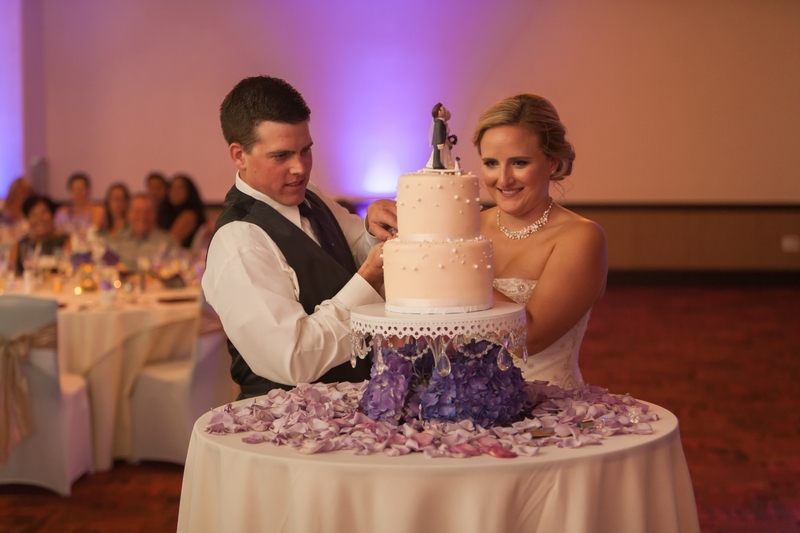 The cake table was prominently displayed as guests walked into the ballroom, so that each person could see the jaw-dropping masterpiece, which featured a special cake topper personalized to match Lauren's wedding dress and Ross' tuxedo. 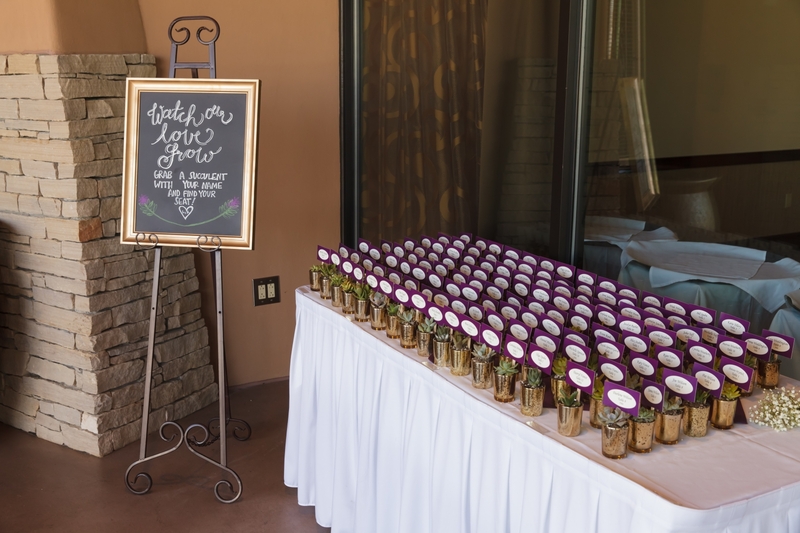 From the Bride, "Living in New Mexico succulents have always been a part of the local scenery, since we had so many people coming in from out of town we thought that would be a cute gift from us. 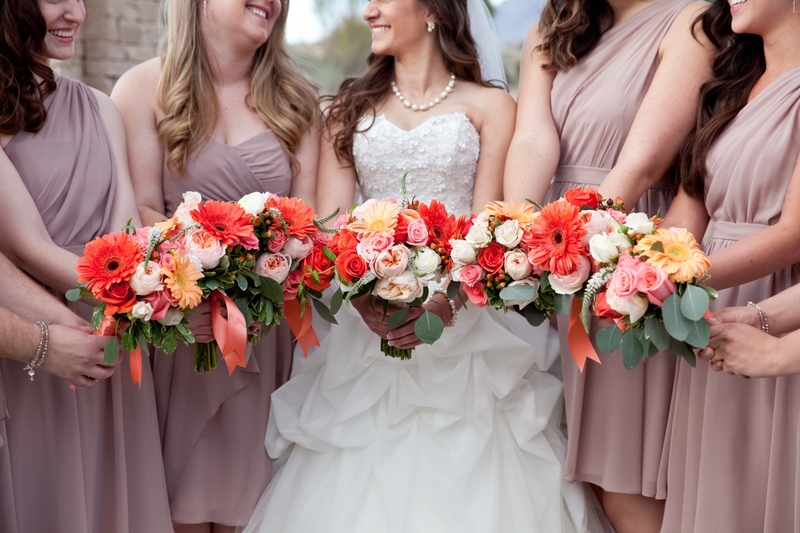 As well as being used a multi-functional piece of the wedding I. I also wanted to tie it all together and add succulents into my bouquet, thanks to our amazing floral designer!" 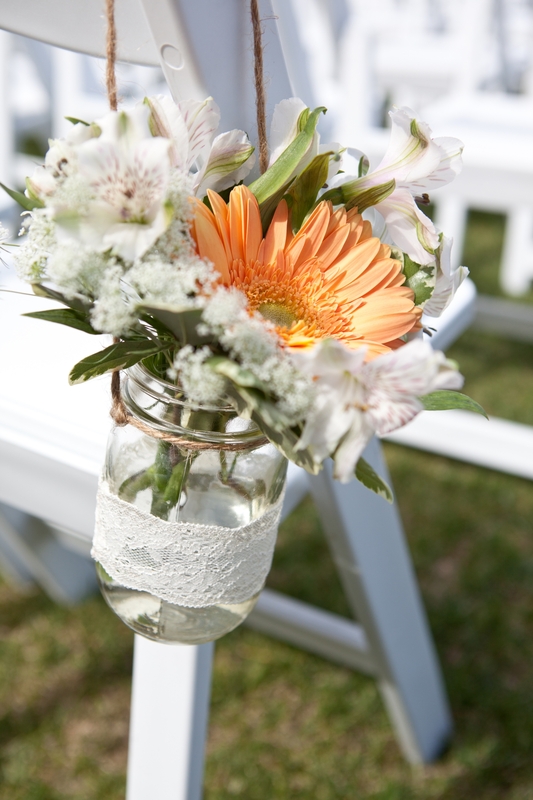 They say the real beauty is in the details, and that couldn't be more true for these two lovebirds. 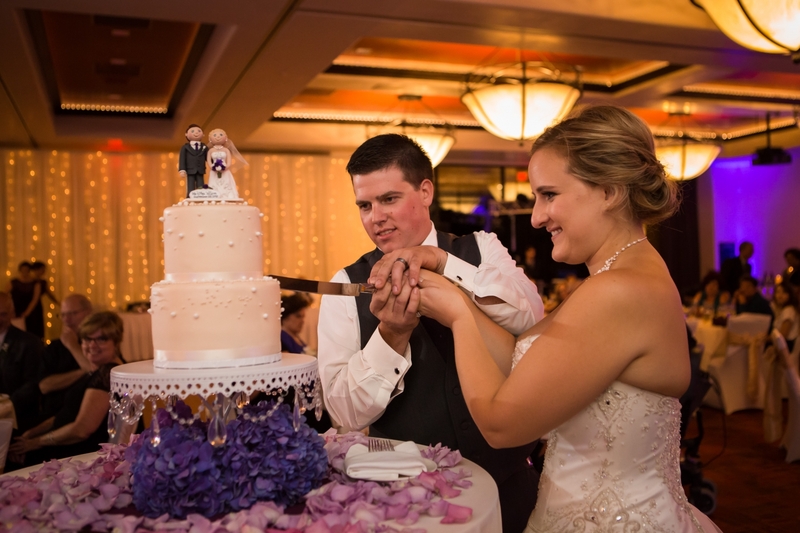 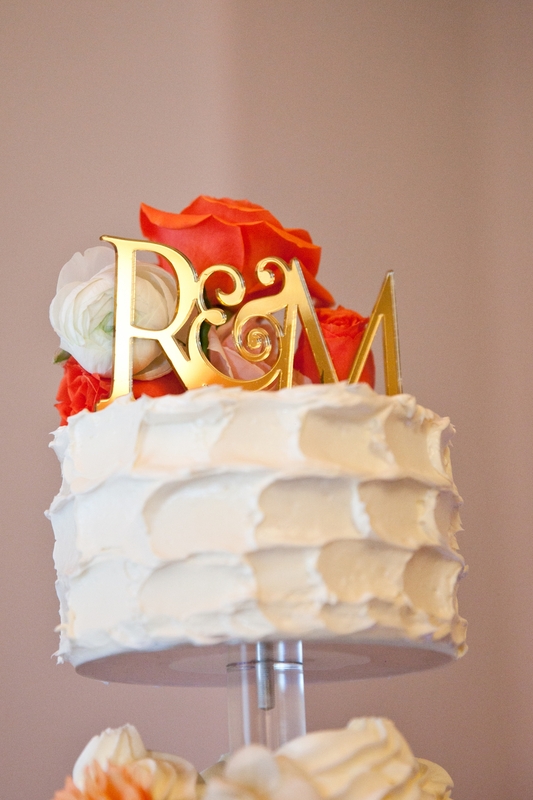 Lauren and Ross, thank you so much for letting us be a part of your special day! 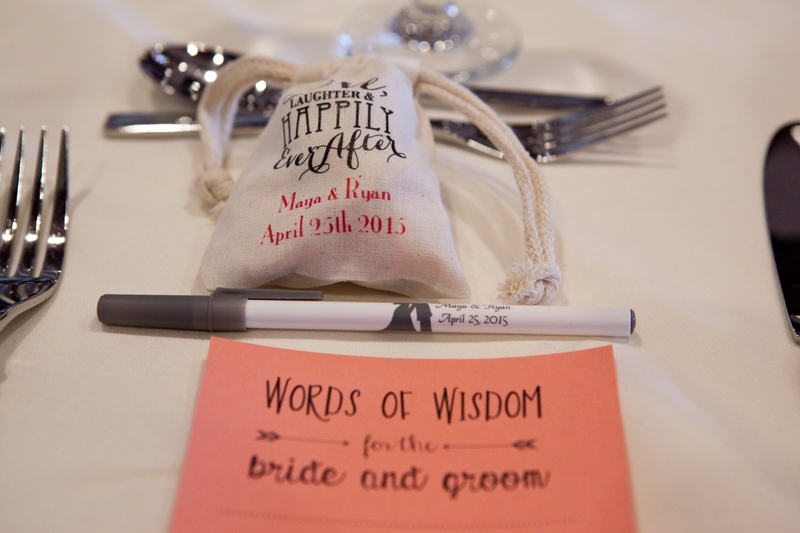 In searching for a wedding venue, Maya knew there were two things she had to have. 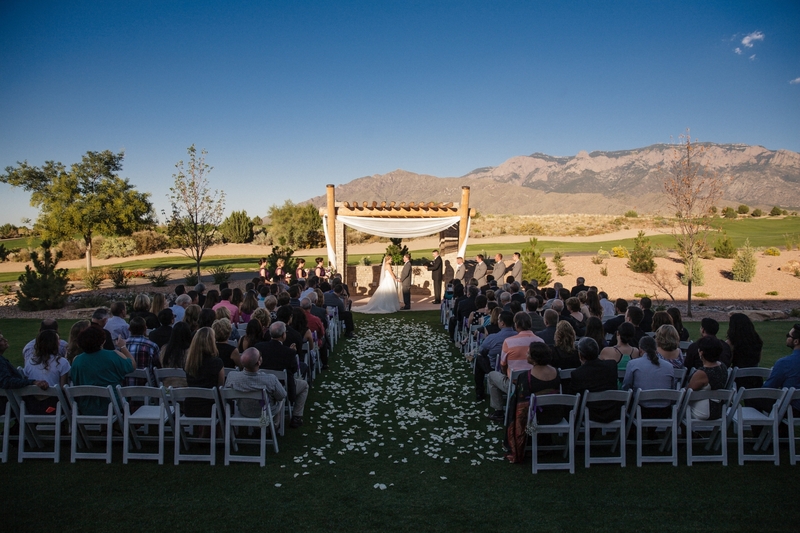 She wanted to get married outdoors surrounded by beautiful scenery, and the venue needed to be large enough to accommodate all of her friends and family. 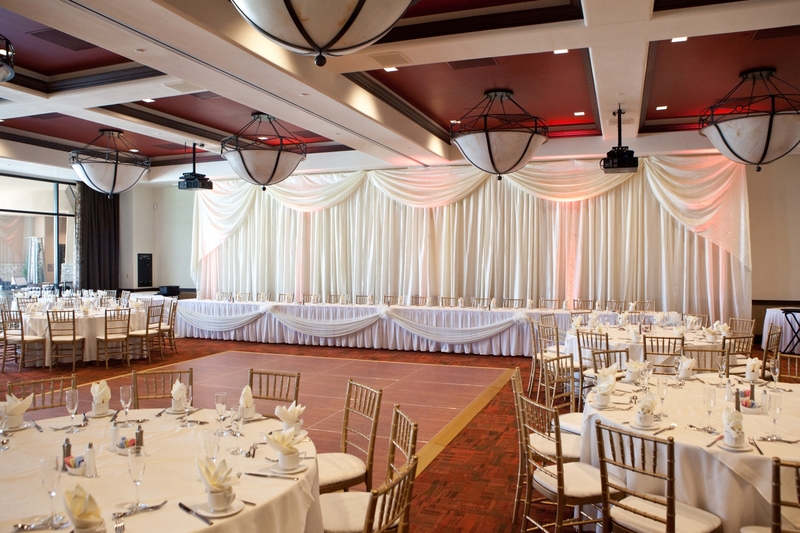 The Event Center provided Maya with the breathtaking views she was looking for and the space to accommodate all of her guests. 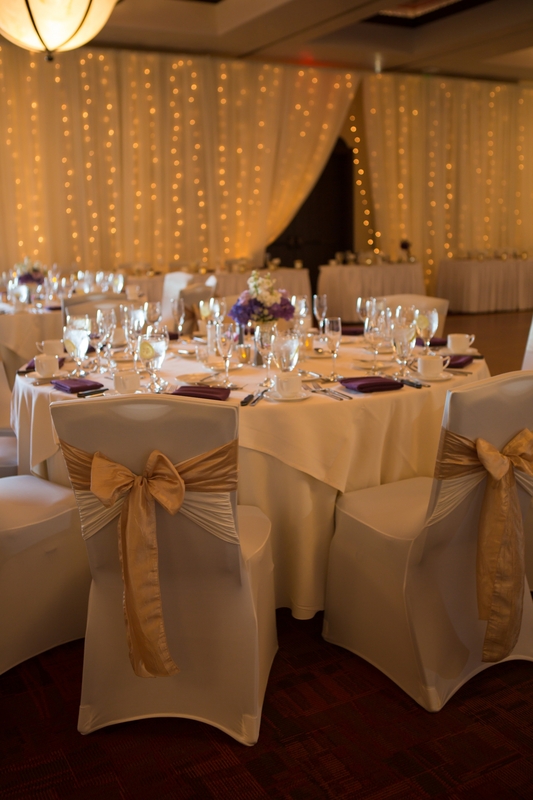 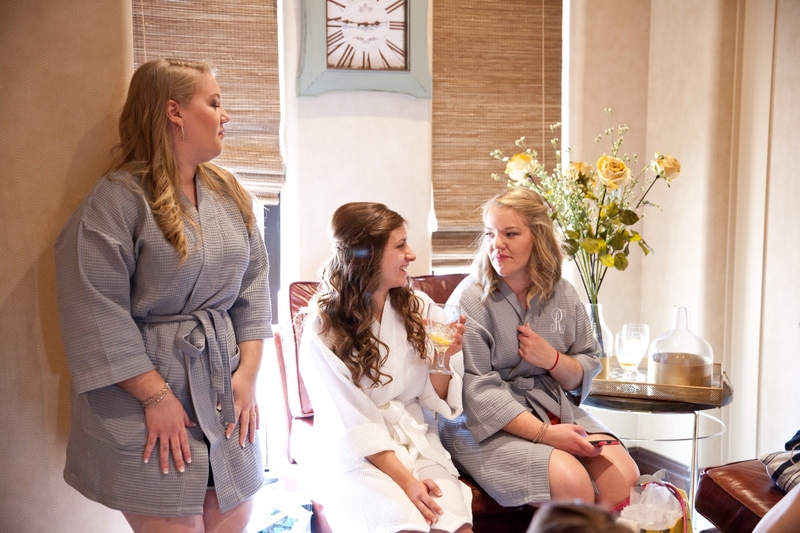 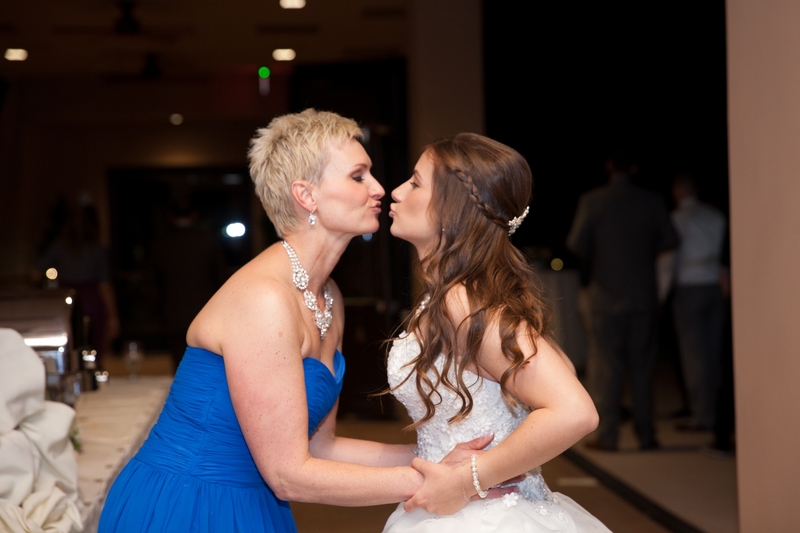 From the bride, "Although the venue was still under construction when I booked it, I had full confidence that it would turn out to be the perfect venue - and it was!" 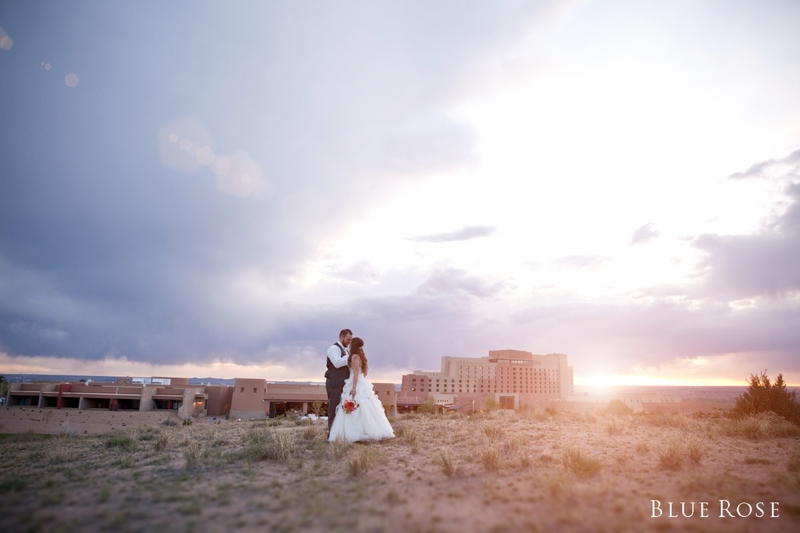 Ryan and Maya both attended the University of New Mexico, but their paths didn’t cross until they met at the Baptist Student Union. 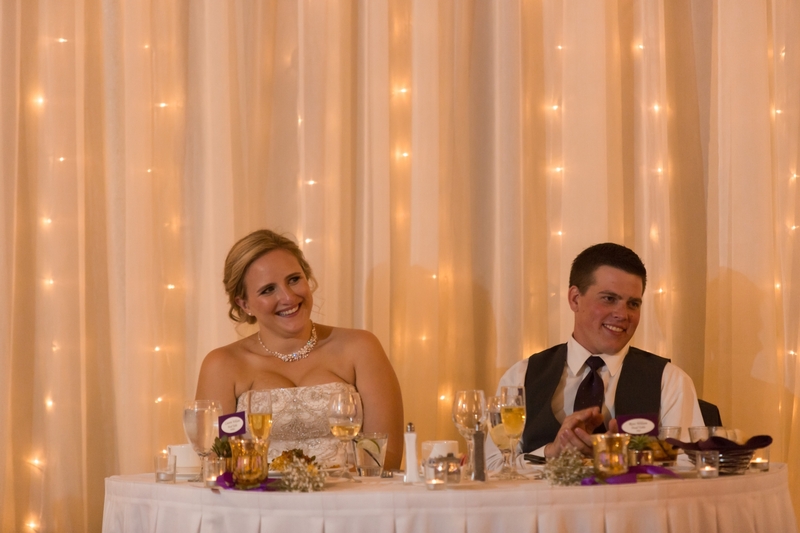 The immediately were drawn to each other’s personalities and it didn’t take long before they became good friends. 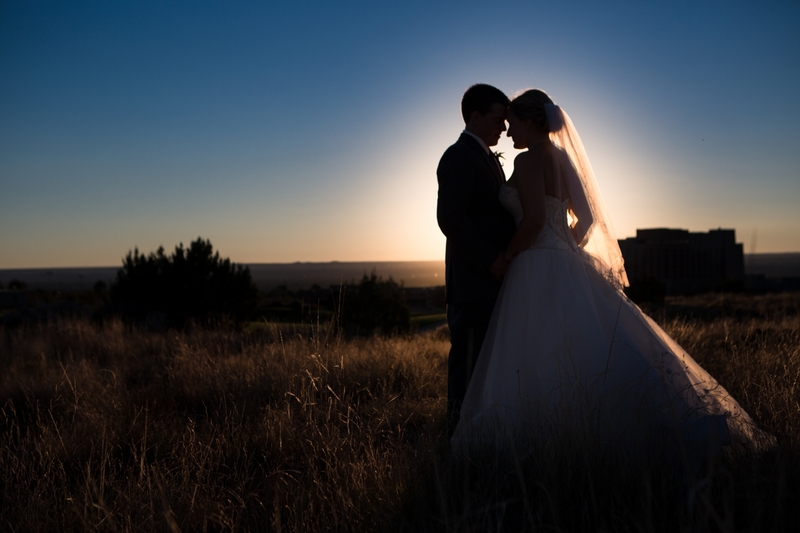 After a year of friendship Ryan found the courage to ask Maya if he could pursue a relationship with her. 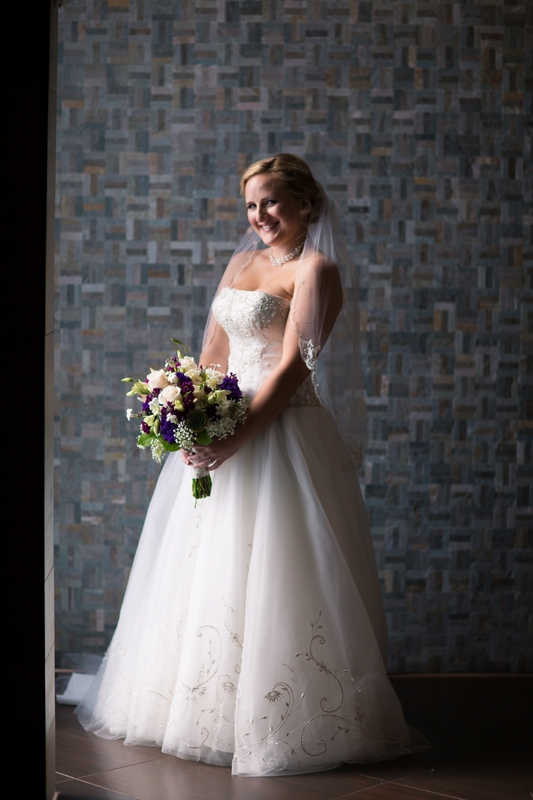 Needless to say, she said YES! 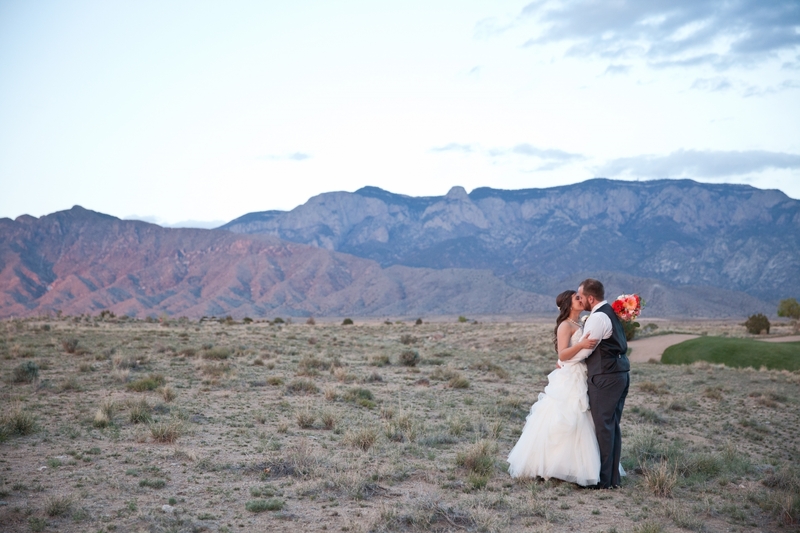 One year later Ryan popped the question. 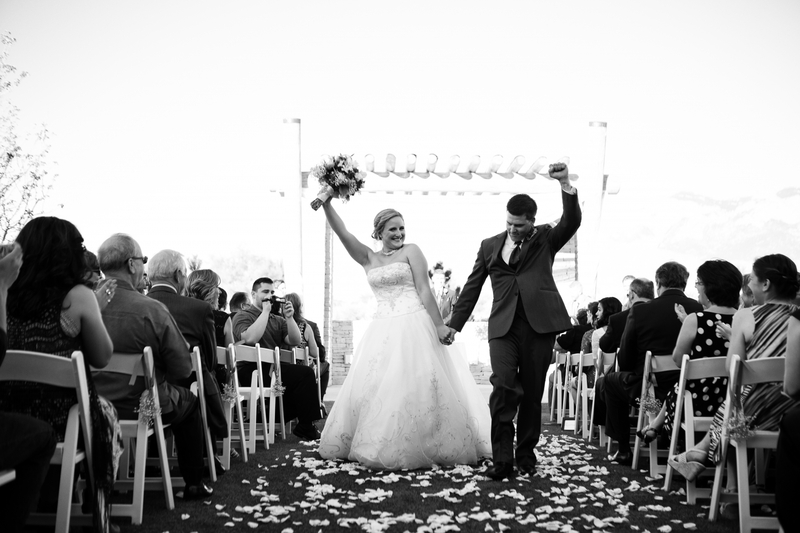 Maya recalls that in that moment "I had found the one that I would spend the rest of my life with and I was so excited to start our life together." 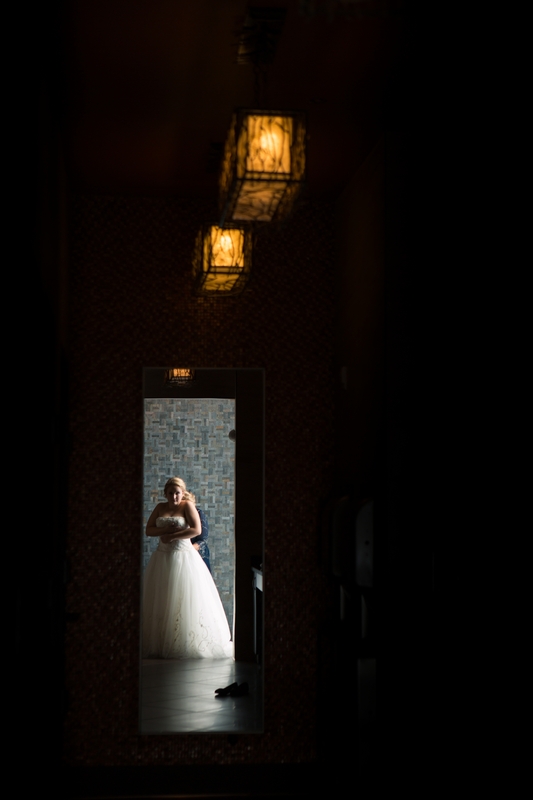 Maya wanted to incorporate some of her Lebanese culture throughout the evening, she specifically requested that her DJ, Too Hot to Stop play traditional Arabic music that would be sure to get their guests on their feet. 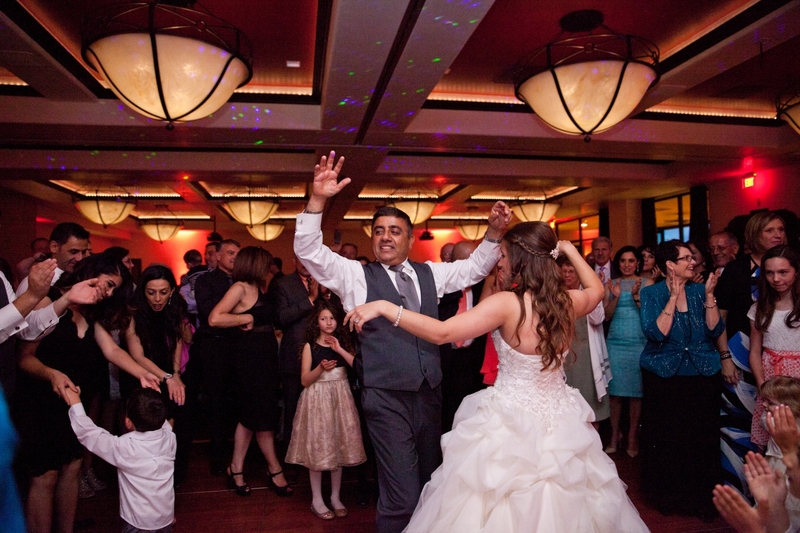 During the reception one of Maya's relatives took over the dance floor by playing a few songs on a traditional middle eastern drum. 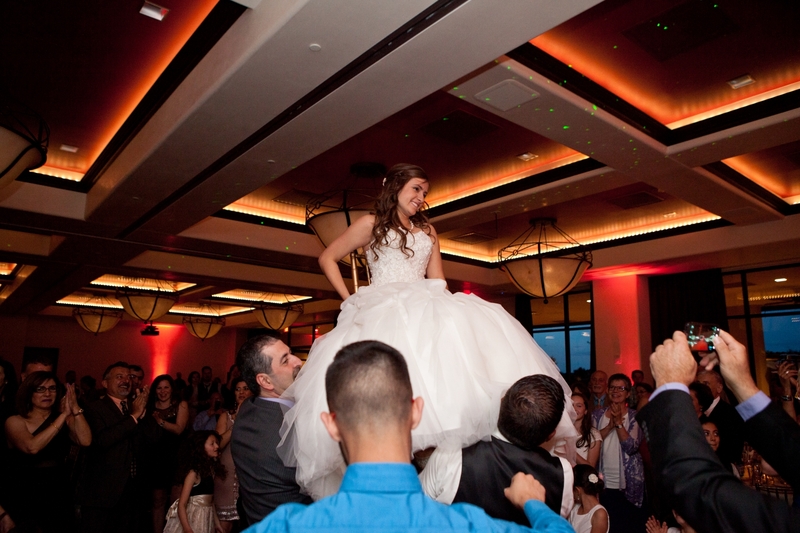 Although many of the couple’s guests were not accustomed to this type of music, they all joined in the dancing! 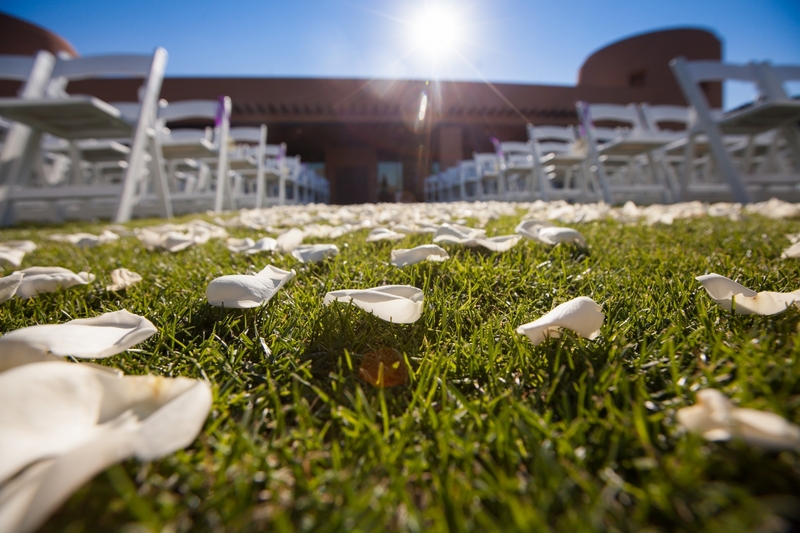 Maya's advice to future brides selecting their venue, "The right venue is our there - just keep looking! 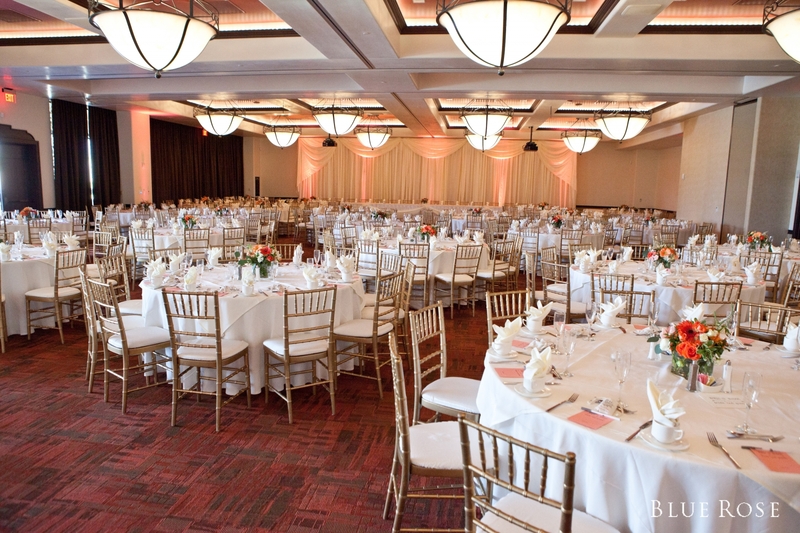 Choosing the venue was the hardest decision for me during the wedding planning process. 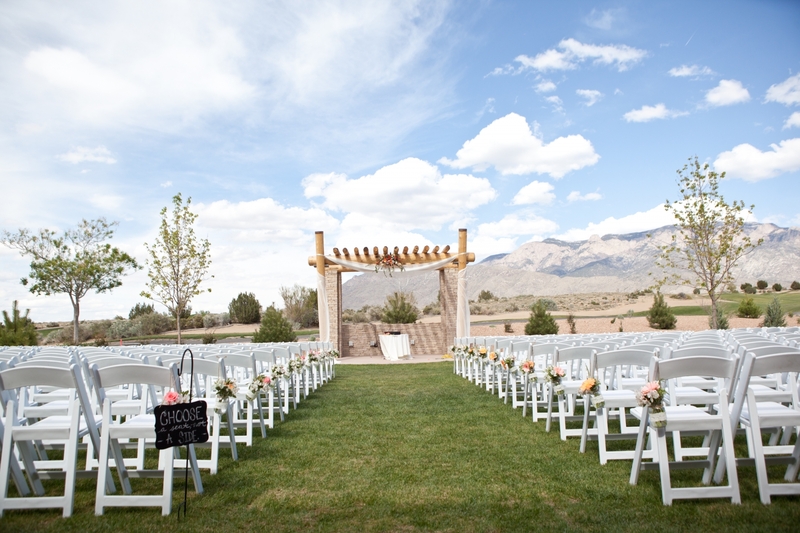 I knew I wanted an outdoor wedding, but I couldn't seem to find the perfect venue. 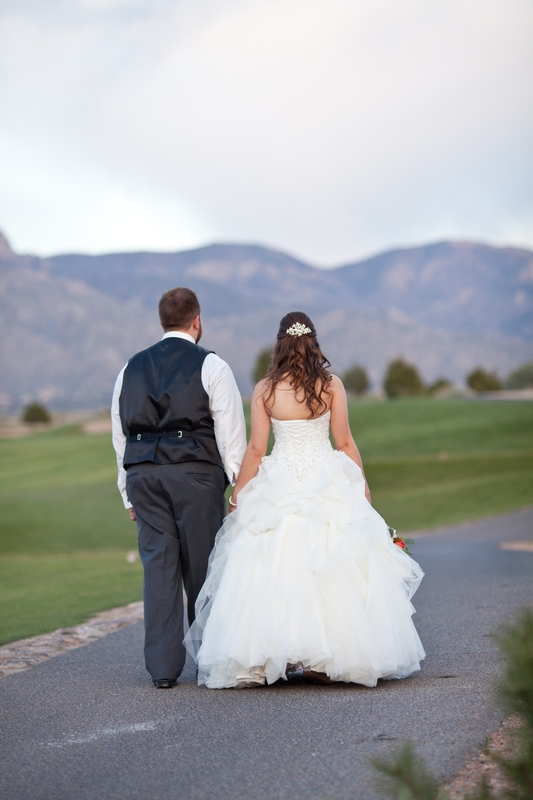 I was about to give up on my dream of an ourdoor wedding and settle for something else. 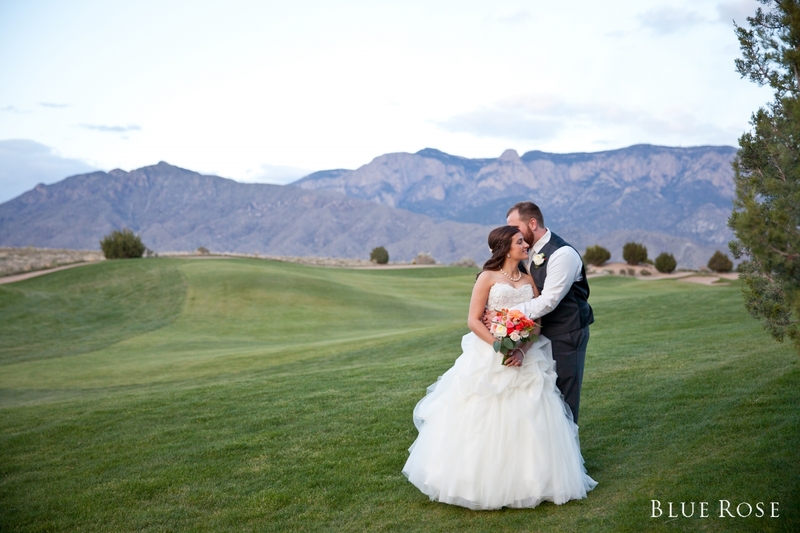 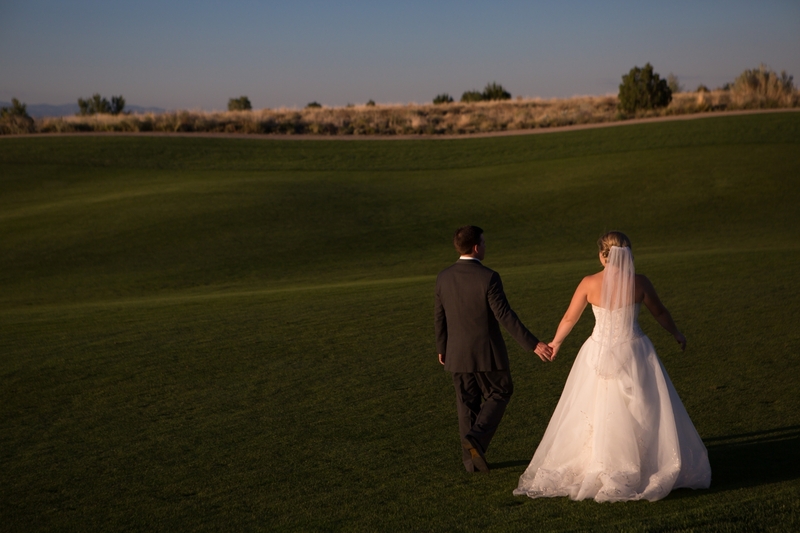 Needless to say, I continued my search and fell in love with the beautiful scenery at The Event Center at Sandia Golf Club had to offer. 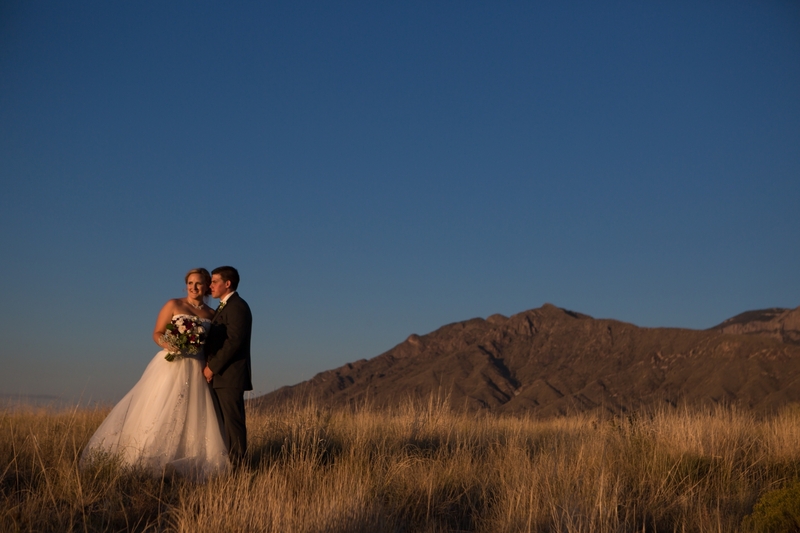 Maya and Ryan, thank you so much for letting us be a part of your special day!